Learning to drive can turn out to be a worrisome process if you choose the wrong course centre. The instructors may not be good enough and not live up to your expectations. The teaching process would not be of the required standard, and the overall quality of driving lessons taught might be poor. Adding to all this, is the agony over losing your hard earned money on totally waste driving lessons. To save you from all this trouble, we at GP training Canary Wharf, London have come up with a highly useful and functional driving training course that you always wanted to join. We take pride in introducing ourselves as one of the best in business in the whole of UK, when it comes to offering the most valuable driving lessons and driving license issuance services at the most reasonable costs. We triumph in employing the best instructors as professionals at our centre, so that you learn driving from the masters themselves. Our instructors are extremely qualified and DSA approved, and know the technique to train you in the best manner. Thus the best drivers are molded from our training course. 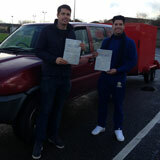 Perhaps no other driver training academy can boast of such an expert set of trainers as we do. 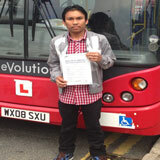 If you hesitated to join a driving lesson before, because you don’t know the language, then fret not anymore. Our instructors are skilled in teaching in a wide a variety of languages as per your convenience. Even the lessons and text materials will be made available in a language of your choice. 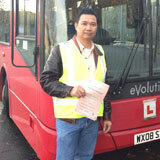 We have designed different training modules that will enable you to achieve greater confidence on the road when driving. You also get to learn all the new rules and laws of the driving system. 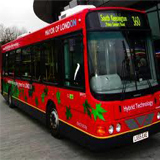 Referring to the driver CPC modules at GP Training Canary Wharf, London, it is a course where getting the pass protection and PCV pass protection services becomes easier than ever. Chances for re-appearing in the tests even if you fail to pass your exams are also available with us. The exclusive offer of refunding is also enabled so that you never lose your money in spite of failing first time! A quick glance at the specific training modules and courses we have in offer is listed below. At GP training Canary Wharf, London, you have choices of Heavy Goods Vehicle and Large Goods Vehicle driver training program. There are various options to choose likeC1 + E – license, C1 – License, C – up to 32 tones, C + E Truck and Trailer, B+E car and trailer, C1 + E- license 7.5t and trailer training. This again depends on the requirements and weight provisions vary in each type. When it comes to PCV or passenger carrying vehicle license, a lot of care has to be taken in training and license issuance, because the safety of the passengers you carry in the vehicle is at your hands. You need to be extra cautious while getting trained. D Automatic Bus, D1 Minibus, D1 + E Minibus & Trailer, D + E Coach and Trailer, D Manual Coach or manual means of transportation etc are the various classifications of PCV training offered from us. These category types are given depending on the number of people the transport is carrying. Before you start driving, you must pass driver CPC modules to maintain high level of driving knowledge on the road. The driver CPC qualification is divided into four parts. 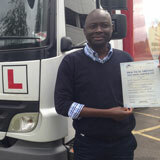 You must pass CPC driver training module 2 before you take module four. 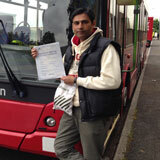 Driver CPC module 4 and 2 includes CPC case study and driver CPC practical tests. The CPC training for drivers is required to be able to drive professional bus and coaches, as you must hold driver CPC license in additional to vocational driving license. Holding a driver CPC license is compulsory for any professional driver who wants to drive Lorries or mini buses with 9 seats or more. 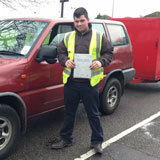 Passing CPC theory test and practical is a must for all drivers. The theory test has two parts namely multiple options and the hazard perception. In the practical version, eye testing and doctors confirmation is essential to clear the test as a prior test. 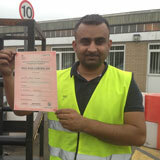 It will be followed by a live on road test where you get to showcase your skills in driving you acquired from us. GP training, Canary Wharf London has all these services and much more, to bowl you over. For all your queries in driving lessons we are available to offer you help timely and wholeheartedly, just give us a call or log on to our website. Help will be made available at your door step. We assess the abilities of the individual before suggesting a course to him and enrolling him with us. For thorough professionals who just need a brush up of their skills, we recommend only a refresher course. For the beginners we have in depth detailed courses too.